In a recent trial, the defense called an expert. He was a nice man, looked wise, and had an impressive résumé. He had been disclosed as an expert less than two weeks from trial. He was the head of his department at a respected hospital and had been a professor at a local dental school that had closed. The witness testified that the standard of care had been followed and that there was no negligence. Now it was my turn. It appeared that he was not very familiar with the case facts. My first question was what was my client's name. He stumbled for several moments before picking up plaintiff's chart, looking at it and then proudly telling the jury my client's name. The case was over at this point. The next questions revolved around future medical care. The expert told the jury how much care would cost. That amount was awarded by the jury probably as punishment to the defendant for choosing to put on an unprepared witness. The verdict was more than the offer. Trying cases is hard work. Courtroom practice also requires experience enough to develop instinct for what to do on the fly, if needed. 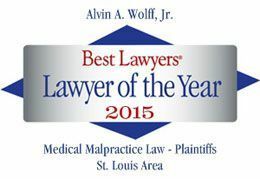 It is fun to win over half of the time on malpractices cases where the average plaintiff win is less than 20 percent. It's another reason why many of my cases settle. My opponent knows that I will be prepared and be relentless in the pursuit of proving the defendant's accountability.